A beautiful journey across South America through five countries, endless landscapes and too many incredible experiences to count. Travel to the Galápagos Islands before venturing to the Sacred Valley, and the peaks of World Heritage-listed Machu Picchu. 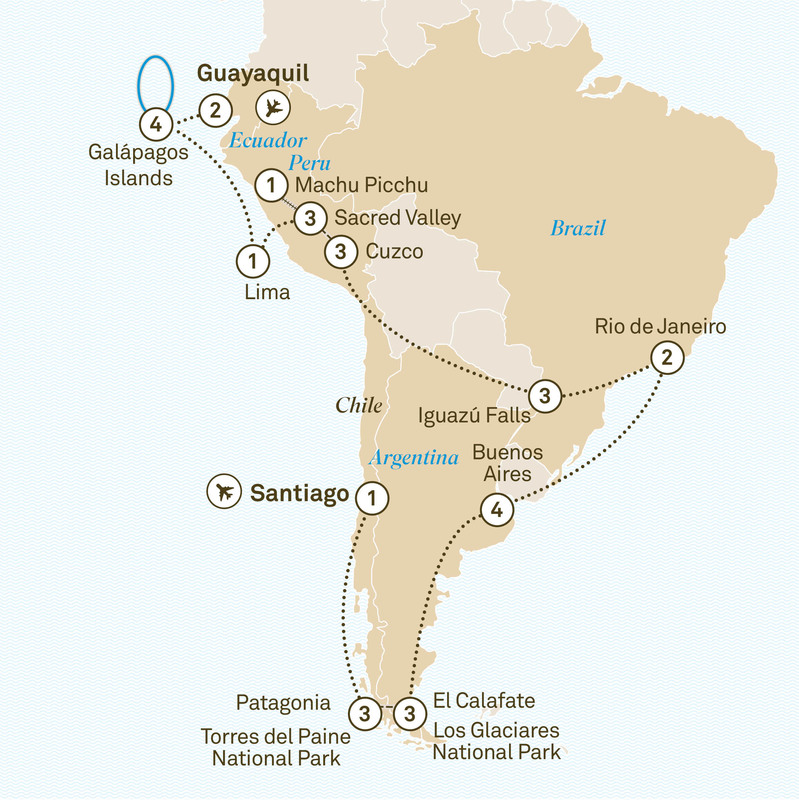 Visit Iguazú Falls, Rio de Janeiro and Buenos Aires. Uncover the breathtaking vista of Torres del Paine National Park. Fall in love with the wild splendour of Los Glaciares National Park and even toast to a great day with a whisky chilled with ice taken directly from the glacier. Spending time in this delightful region is sure to thrill and inspire.